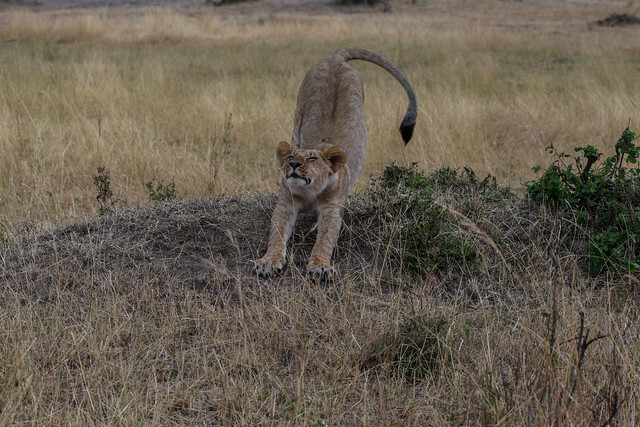 Masai Mara National Park in Kenya is directly connected to the more popular Serengeti National Park in Tanzania. 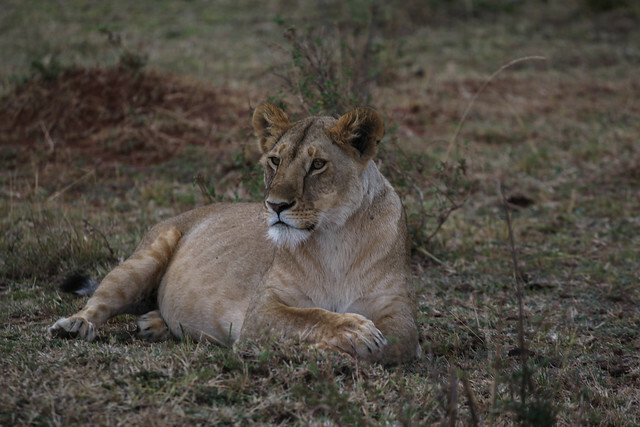 There is estimated to be around 2000 lions left in Kenya. 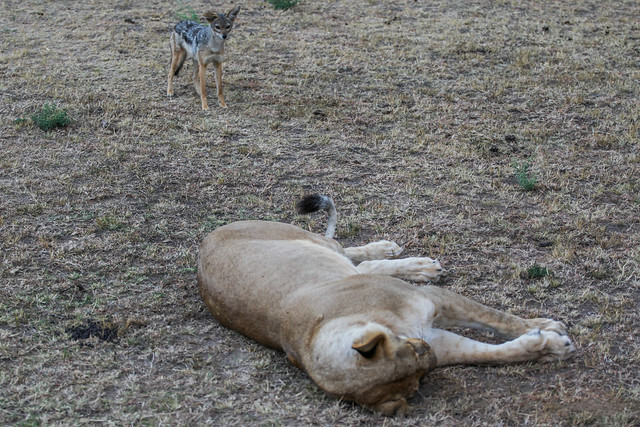 The Mara Predator Project attempts to track the lion population within the park. 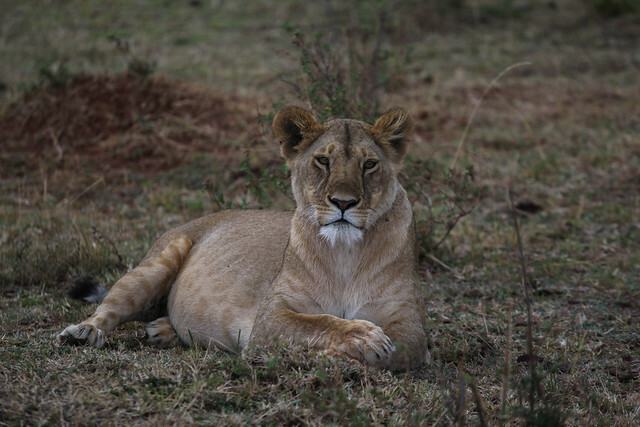 The lions have a complicated relationship with the pastoral Masai people in the area. 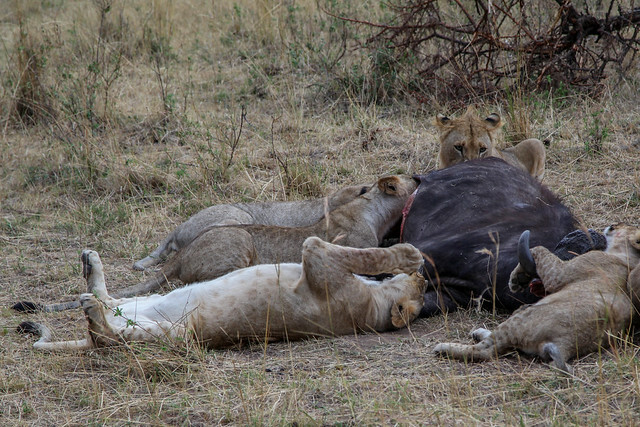 Killing of lions had previously been a rite of passage for young warriors. 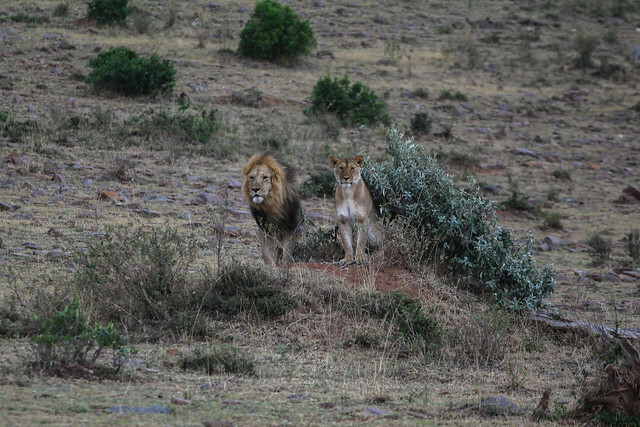 Lions will often kill livestock, and they are sometimes killed by the Masai in retaliation. 1-2: Glamor shots. Posing her was difficult. 3-5: Romance is in the air! 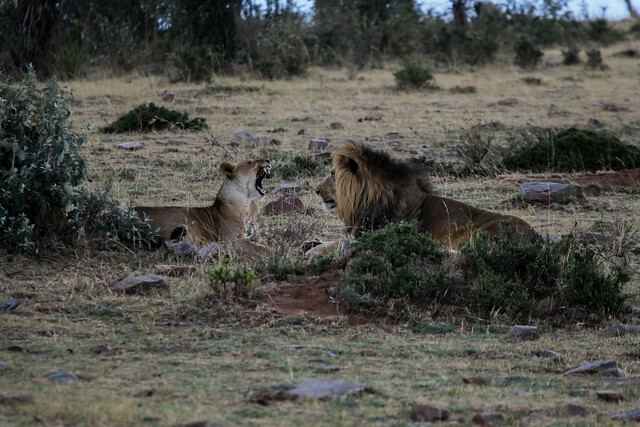 You’d think lions were monogamous watching these two .Netflix and Chill’. 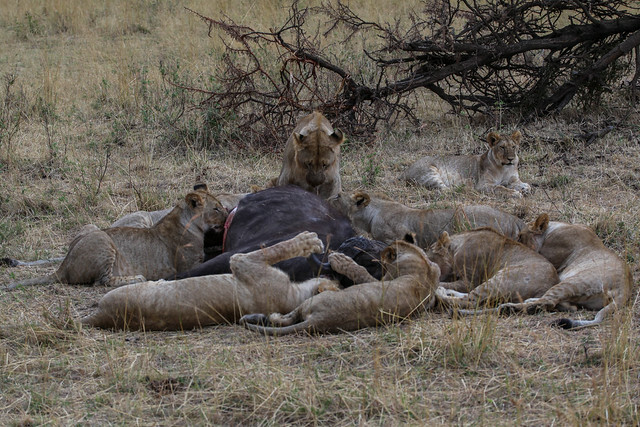 You would be wrong, lionesses in heat can mate with multiple malesin the pride. 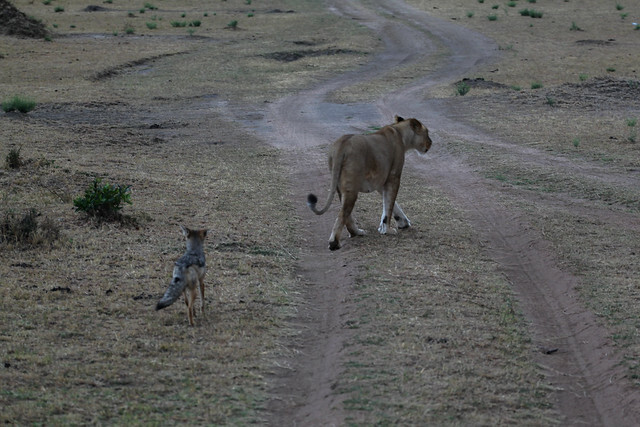 7-8: We watched this jackal harassing this lioness and thought: not a smart move little guy. 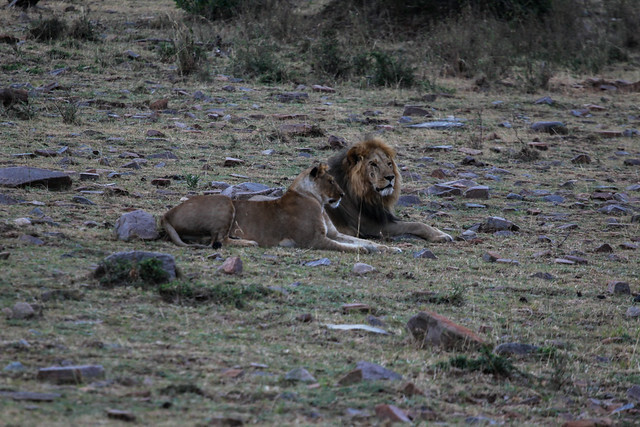 9-10: Lions apparently like to cuddle with their food. This cape buffalo is quite the feast and spooning partner.